I know that Northerners are looking for more practical, rather than theoretical, research that they can use. I think that with better community engagement aboriginal organizations and communities can empower themselves by being able to become more involved in making decisions about their land. A member of the Tlicho First Nation, born and raised in Yellowknife, Jessica advocates for Northern people- especially youth- and their land. A founding member of the Canadian Youth Climate Coalition, and of the Arctic Indigenous Youth Alliance, she is the Community Liaison Officer for the Mackenzie Valley Environmental Impact Review Board. 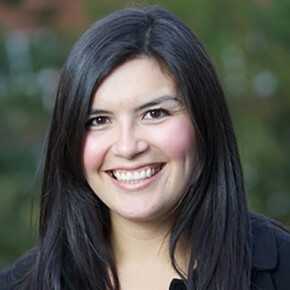 Upon completion of a Bachelor of Arts in Anthropology and Canadian Studies from Mount Allison University in New Brunswick, Canada, Jessica spent a year serving as the Director of the Arctic Indigenous Youth Alliance before joining the Mackenzie Valley Environmental Impact Review Board. As the Community Liaison Officer, she expanded her knowledge of the North and its people, conducted terminology workshops and gathered data for guidelines on cultural impact assessment, while also becoming involved in a traditional knowledge practitioners group. In 2003, after attending the Annual General Meeting of the Northwest Territories (NWT) Youth Council in her home town of Whati, Northwest Territories, where she learned about the proposed Mackenzie Gas Project, Jessica became a founding member of the Arctic Indigenous Youth Alliance. She became the Director of this youth organization and was a keynote speaker at several conferences, including the Pacific Business and Law conference on Oil and Gas, David Suzuki’s “If I were Prime Minister” Gala in 2007, and a biology conference at York University. As a part of the International Polar Year (IPY) GAPS initiative, Jessica worked with Dr. Gabrielle Slowey, Assistant Professor of Political Science at York University, to research the challenges and opportunities that self-government presents to Northern communities in the context of oil and gas development. In this capacity, Jessica led IPY GAPS youth workshop Our North/Our Future, at which Northern youth were able to speak about their hopes and futures, creating blogs, videos and photos. Jessica has also worked with Northern Youth Abroad as a facilitator of their orientation programs. Through these varied roles, Jessica has learned a lot about the issues that Northerners are passionate about and want to change: community engagement and consultation practices, the pace at which environmental impact assessments are conducted, local people’s involvement in these assessments, and preserving Northern culture(s). Jessica used her Sauvé year to deepen her understanding of the interplay between the political, cultural, and ecological elements of Northern living. She developped a research paper and a handbook about best practices in community engagement, with particular emphasis on environmental assessment practice in an Aboriginal context. Jessica is committed to bringing everything she learned through the Program and from other Fellows back to the North, and will apply it directly to her work and share it broadly through her many networks.